General purpose of this lecture is to present on Light and Atomic Structure. Here briefly describe on Light and its properties; Atomic structure; Interaction between Light and Matter and Spectrum. Light behaves as both a particle and a wave. Light particles are called photons, which can be counted individually. Here also describe on Atomic Structure. 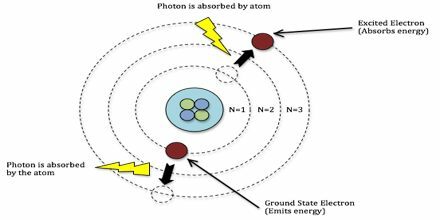 Atoms are made from particles called protons, neutrons, and electrons. Protons and neutrons form the nucleus in the center of the atom. Electrons surround the nucleus. How to estimate a Sum by Front End Estimation?